BMW tuning specialist teases new program for the F30 generation of the benchmark sports sedan. Manufacturers spend years working on styling new models, only for tuning firms to come along and bash out so-called "enhancements". 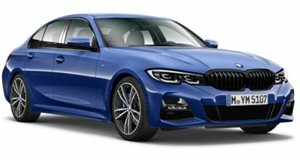 The latest aftermarket specialist to get into the new 3er is Kelleners Sport, which has today released a photo gallery of what they have in store for BMW&apos;s popular sedan. The full details of its F30 3-Series program are still to be confirmed, but clearly start with a new set of alloys. At the rear, we can also see that a small boot lid spoiler is joined by a new quad exhaust system, while the car&apos;s stance appears to have been lowered by a new suspension system. Whether any tweaks will be made to the engines remains to be seen, but given their previous efforts we expect a modest power boost.